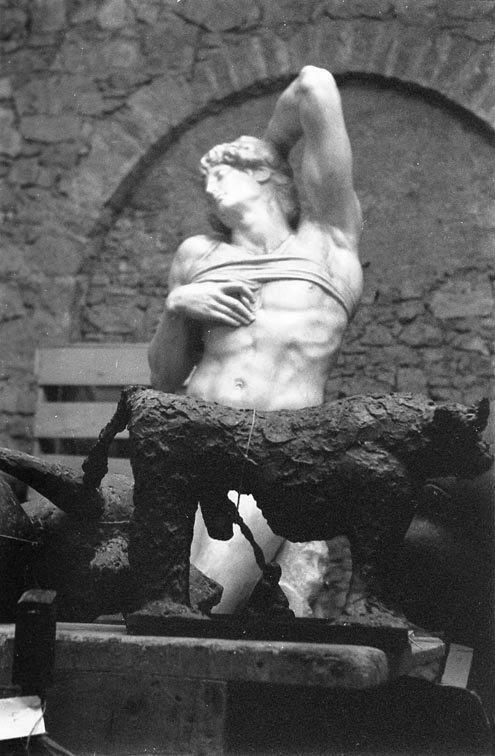 Foreground, The Bull (1957). Behind is a cast of the Dying Slave by Michelangelo, that Picasso found in the basement of the Museum of Antibes. Located on a hillside, the dimensions of Notre-Dame-de-Vie offeredPicasso the space he needed to work and to house his art collection. On the ground floor of the residence, the artist situated his sculpture room.